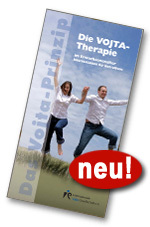 You can request your copy of our new brochure, Vojta Therapy in Adulthood, for a nominal fee of € 0.80 plus postage from the administrative office of the International Vojta Society. You can request your copy of Vojta Therapy in Childhood, which has appeared in different languages with more than 100,000 copies printed, for a nominal fee of € 0.80 plus postage from the administrative office of the International Vojta Society. 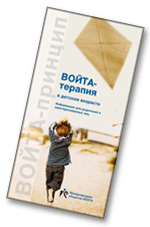 It is unfortunately not possible to send out the brochures in digital form; therefore, we require a postal delivery address with each order.